Hotel GoldCoast: book online at AccorHotels.com "
The sun never sets on the Gold Coast making Queensland’s spectacular resort town the perfect holiday spot 365 days a year. A favourite amongst domestic and international tourists, more and more happy travellers every year are discovering and rediscovering this tropical treasure. Endless sandy white beaches, incredible surfing locations, wildlife sanctuaries and Surfers Paradise’s vibrant nightlife are a small taste of what the Gold Coast has to offer. 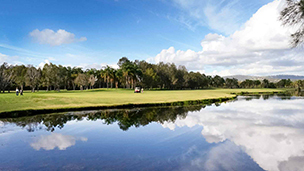 All this and more is just a stone's throw away from the best Gold Coast accommodation on offer. Some of the major attractions bringing millions of visitors to the Gold Coast every year are the theme parks - Movie World, Dreamworld, Sea World and Wet'n'Wild. Thrill seekers will love the adrenaline rush on The Claw, while the youngsters can come face-to-face with the only polar bears in Australia. We haven't forgotten about the adults who can take a break and have their own fun at Gold Coast's spectacular nightlife, filled with exquisite dining, lively nightclubs and an awesome pub culture. 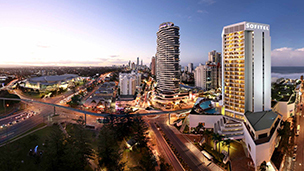 Make sure your chosen Gold Coast hotel is centrally located to all shops and beachside activities. For an exciting interstate holiday or overseas adventure, Gold Coast Australia is a destination that should not be missed. 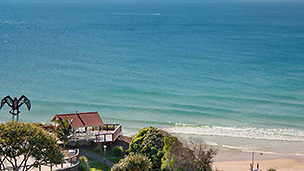 Discover a selection of hotels from budget through to luxury 5 star Gold Coast hotels for your next business trip, family holiday or weekend break.